A thread for anything about media coverage. The good, the not so good, the quirky, what you'd like to change, etc. "On the other side of the break". I think they mean 'after'. "Before we let you go": The interviewee is in detention? The first one is obsessively common on "The Project". So long as we do not get a WOWEE or "Did You See That" from a radio commentator I'm happy. - I'd like to see Kenny Karpany's name pronounced 'Karpany' instead of 'Karpanay'. - And none of the crap puns on players' names. e.g 'A noble effort' referring to John Noble. Brilliant. On a similar theme ... personally I hate the term "quarterback" being used in Aussie Rules. goddy11 wrote: goalkeeper as well. One difference is that goalkeeper has been used for over 100 years in Australian Rules reporting. Go to many of the reports of games at the end of the 19th century there are references to goalkeeper. In fact the term goalkeeper used to be used a lot more pre second World War than it has been used since. From the North v West game, the SANFL Digital Pass guys should be aware their between-quarter private conversations were broadcast. Flag No.10 wrote: From the North v West game, the SANFL Digital Pass guys should be aware their between-quarter private conversations were broadcast. Yep. For the most candid interview with Michael Virgin post-North-sacking, listen at the quarter time break. Hilarious listening. Was he sacked? I have heard so many conflicting stories. What did Michael say? My all time "makes me want to throw a brick at the TV" comment is when AFL callers say "his first goal in footy" referring to AFL player kicking their first goal at AFL level. To me this always shows such disrespect to all other levels of the game, without which, there would be no AFL players. We got this one again two or three times on Sunday. Honestly, it doesn't get any funnier the more you say it. I thought the commentary was good, so it doesn't need these obvious and unnecessary references. Also agree about 'Karpan - ay'. Minor points, but every improvement helps. I watched some of the game, now watching the rest and enjoying the call by Don and Grant. The 'commentary' from Peter Walsh and the coach of South's women's side on Saturday at Prospect was embarrassingly poor, so much so I watched the last 1.5 quarters on mute. The game only seemed to hold a passing interest to them as they found other more interesting topics to cover, while if you're going to have a 'special comments' person it might help if they know more than 2 or 3 players or at least have a team sheet in front of them. 'who is number x?' was a well used expression. Added zero to the coverage. Really tarnishes what is a great product, and overall I much prefer the SANFL style of calling over the hyped AFL equivalent. I listened to some of the game on Life FM today and thought Chris Kendall and Doug Oakley did a great job. It was John Nankivell and Krissie Steen on the Digital Pass coverage and they were good value. They stayed engaged with the game throughout; Steen is the first commentator I've heard talk analytically about the team structures and it was really interesting. She does need to learn who the players are though. Watching some of the U18 game, SA v Vic Country. John Nankivell is doing a solo commentary and is excelle t. No private jokes, no puns, no extraneous distractions, just a good, accurate call of the game. 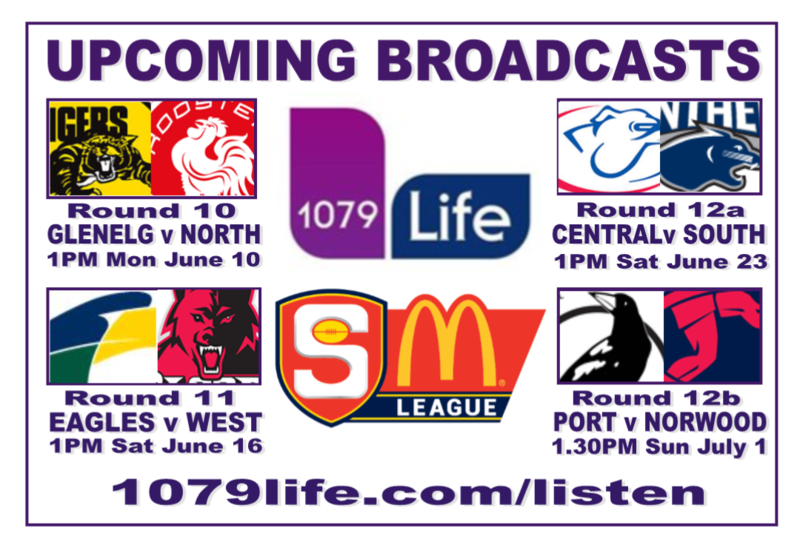 John is the most reliable and most underrated commentator in the SANFL, loved calling with him on Life for a decade. The identification of West players was pretty ordinary at times on the Digital Pass, which isn't great when it's the competition's own coverage. And if I hear one more commentator refer to the "time clock"....I'll ask them why they don't also refer to the "score scoreboard". Because it's the "insert sponsor here" scoreboard.